It gives me no pleasure to write this but ignoring it as so many do is not helpful either. 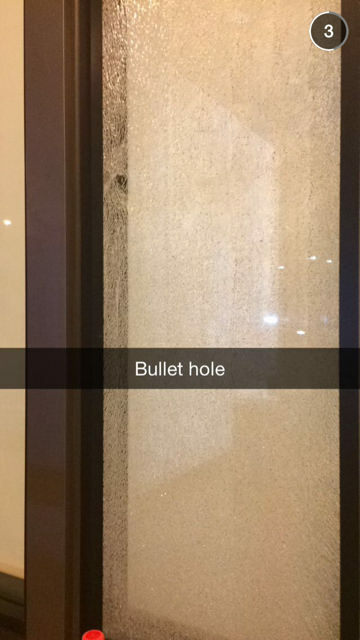 On Friday night stray bullets hit a row house window in Petworth and the lobby of an apartment building in NoMa. 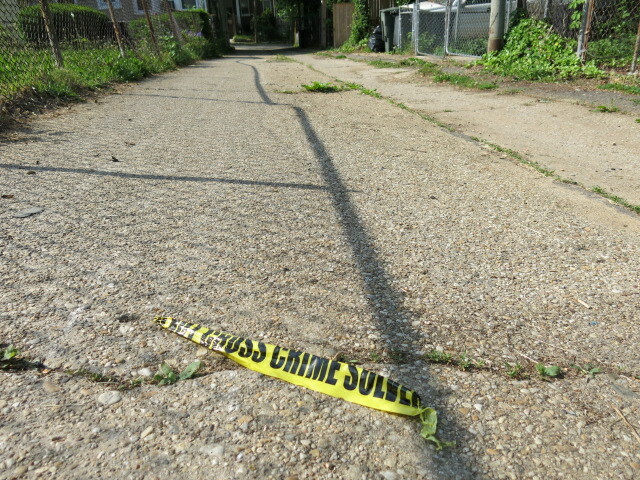 In Petworth it occurred Friday night just after 10pm in the alley between 3rd and 4th St, NW and Upshur and Taylor. It was a miracle that nobody was injured. And don’t forget about the apartment building that got hit in SW Waterfront back in February. I spoke with a friend of mine recently who said “well what are the odds of someone actually getting hit?”. I don’t think that this a healthy reaction. In 2004 an 8 year old girl was hit by a stray bullet while she was sitting on her porch. Thank God she lived. There was a huge response after that incident. Most people don’t remember it now. 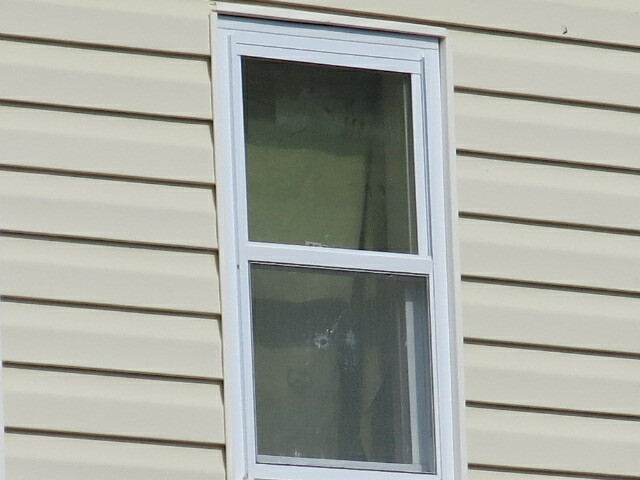 When bullets go into homes and buildings and don’t hit anyone – in my opinion this is just as terrifying as if someone was hit. Because someone easily could have been. Where is the outrage? How seriously are our leaders taking this? Why is nobody talking about this? We don’t need to debate statistics. This is reality. It’s true gunfire and violence are not common everywhere in the District. It has occurred recently in NoMa, Petworth, Eckington, Brightood, Bloomingdale, Takoma, Edgewood, Brookland, SW Watefront, East of the River SE, Hill East, Trinidad, H Street, NE, Carver Langston, U Street, Capitol Hill, Shaw, Park View, Downtown, Columbia Heights… With the amount of gunfire that goes on in this city – I feel like we are living the wild freaking west. There is a crisis. Let’s not break our arms patting ourselves on the back as we celebrate our successes as a city. And the city has achieved a ton. It’s amazing. But those successes, while great, do not replace the fact that our homes and city are being shot up. Now let me just say – I’m not a hysterical person. I’ve lived in DC for almost 20 years and in Petworth for over 12. I’ve seen a lot. I don’t curl up in a ball and hide in my house. I also can’t ignore what’s happening. I don’t want to play the odds with something like this. I’m not saying I have the answers either. I’m just saying I’d like the powers that be (with the exception of Council Member Anita Bonds who has hosted some meetings) to also recognize and acknowledge the seriousness of the situation. And that something needs to be done about it. I should say show me something serious and sustained not just temporary pandering. When an innocent person does get hit by gunfire and all the camera lights are shining bright, I and many others are gonna remember the earlier silence. Don’t just be reactive. Don’t be in denial. Don’t be silent. 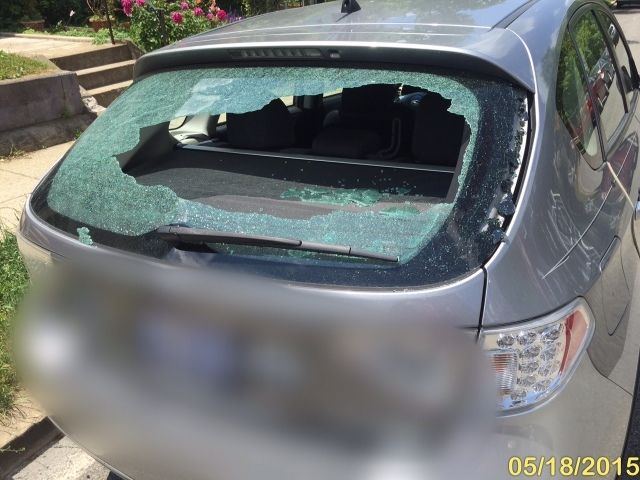 Don’t just pick up the shell casings and say no one was hit so no big deal. Murders are less than they were 20 years ago so no big deal. This is a very big deal. And I have no problem admitting that I am scared. In our current state of affairs, you should be too.